A cake piped with Oriental string-work gives wow-factor. 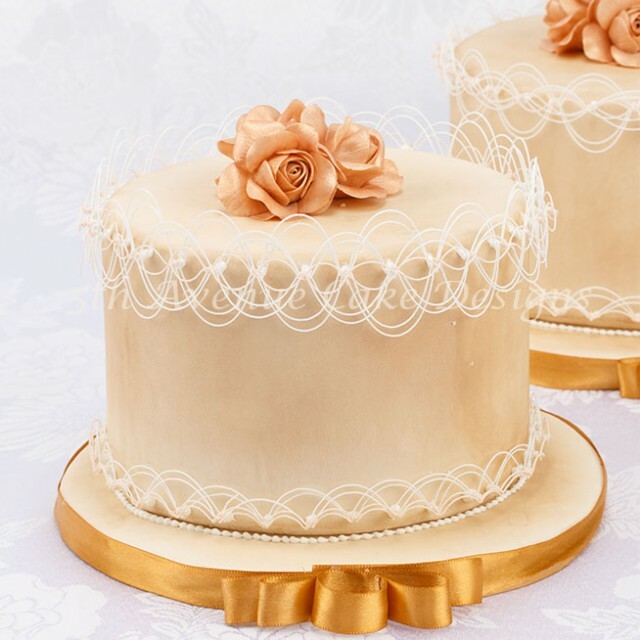 The method of beautiful Oriental string-work involves piping a series of overlapping loops around the side of a cake to make intricate woven designs. will be able to pipe Oriental string-work. With practice and patience you can become an exquisite Oriental string-work piper. Closer view of the top of the cake! Remember to breathe while you’re piping! Close-up the both top and bottom! Have your parchment cone cut with #0 nozzle inside and nylon knee-high ready. 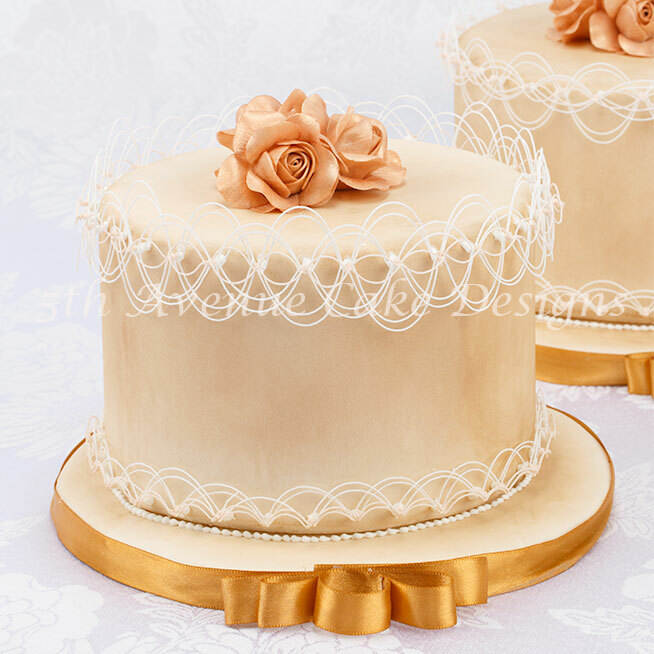 Paddle your royal icing to soft-peak consistency and strain. Remember to keep the nozzle’s tip against a damp cloth and your damp brush next to you. 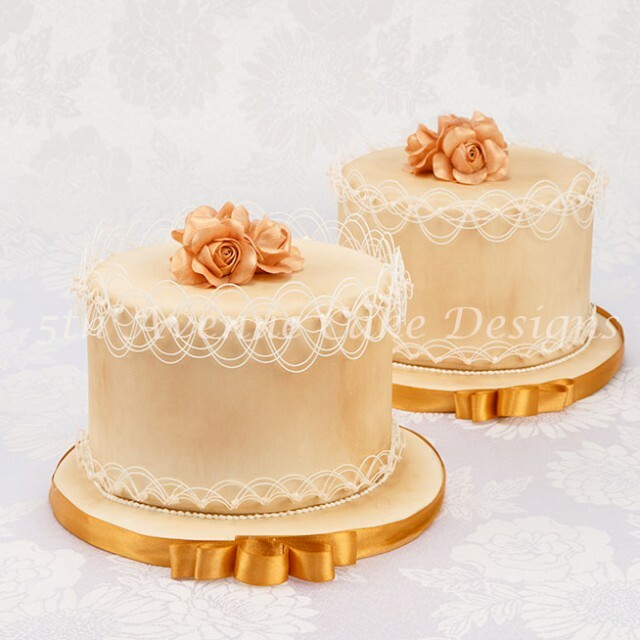 Watch the video below to see and learn how I created amazing works of art with royal icing and a piping bag! Being able to bend sugar in mid-air over the top of the cake. For the complete 120 minute Hd video, including tips for success and the templates. I used a quick technique for the copper roses and I will be creating a video later this year. This cake is for our holiday party! Remember your bag position, your consistency, and pressure control are the three essentials to mastering any type of string-work. Practice, practice, practice, and patience is the other half of mastering royal icing string-work. 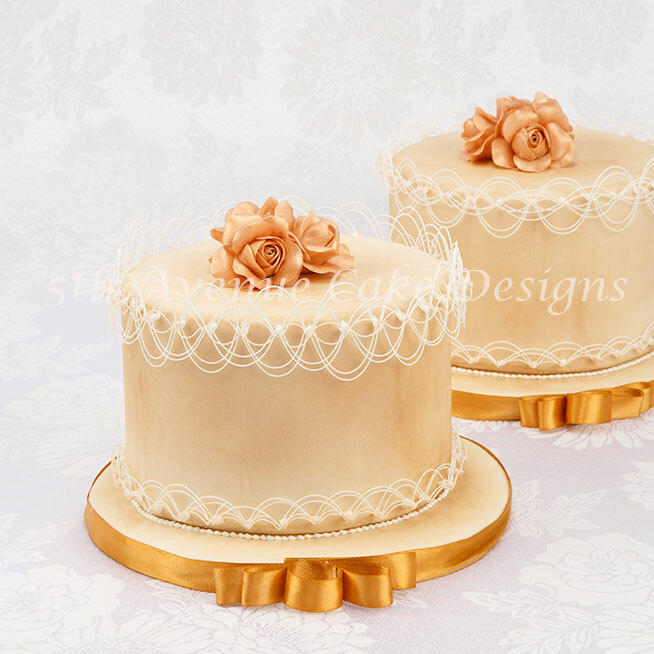 I petal dusted the fondant to give an antique appearance, and dusted my roses with a bronze colour to match the cake and ribbon. I am giving you fair warning Oriental string-work is addicting! Have fun! Wowww, what a fab work, it really has a wow factor! How would you transport that cake? 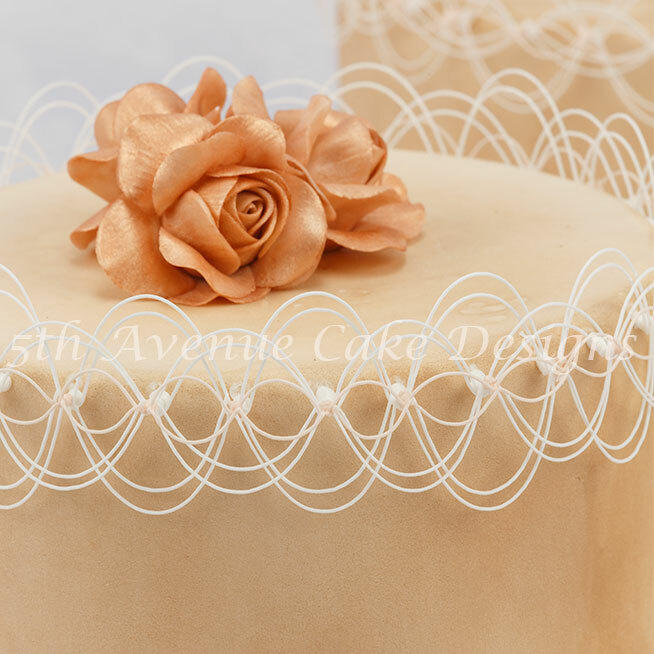 Place your cake on non skid pad in the cake box,to keep the cake from moving, and line the seat or floor of the car with 2-inch thick foam. 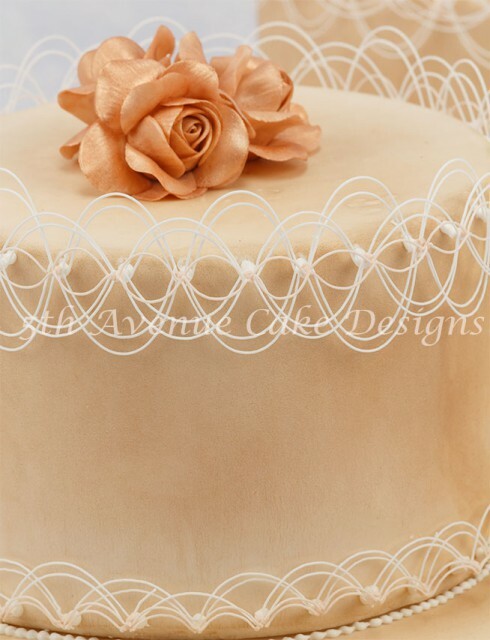 Wow..this cake reminds me of 1940 glamor! How long did it take to make the cake? Lovely cake and as usual a wonderful video!